Killeen Police received a 911 call in reference to a shots fired call on Thursday, July 20, 2017, at approximately 2:49 a.m. Upon the officers’ arrival, they found a female lying on the ground at the apartments located at 1100 Willow Springs Road with a gunshot wound. Officers immediately started to perform life saving measures until paramedics arrived. The preliminary investigation revealed that the female suspect had confronted the male victim about a parking complaint while she was armed with a handgun. The male victim, who is licensed to carry a handgun, attempted to diffuse the confrontation with the suspect unsuccessfully. The male victim then defended himself with his handgun from the ongoing assault. The suspect, 23 year-old female Raven Seymone Fisher, succumbed to her injuries and was pronounced deceased at the scene by Justice of the Peace Claudia Brown at 3:44 a.m. An autopsy has been ordered at the Southwest Institute of Forensic Science in Dallas, TX. The victim was initially detained by police and later released with no charges at this time. Killeen Police investigate shooting on Dan Drive. Officers responded to the 5700 block of Dan Drive, Tuesday, July 18, 2017, after receiving a 911 call at 11:41 a.m., about a shooting victim. Upon the officers’ arrival, they met with a 43 year-old male victim suffering from a gunshot wound and a 30 year-old female who was assaulted. The male victim was immediately transported to Baylor Scott & White Hospital in stable condition. The officers were told that a female resident and the male suspect made an arrangement to meet through an online dating site. During the encounter, there was an altercation between the female and male suspect, when a second male that was inside the residence intervened and was shot by the male suspect. The suspect, a black male, fled in an unknown direction in an older model white sedan. The female victim was treated and released on scene. The Criminal Investigation Division would like to remind the public about the dangers of meeting strangers for internet sales and online dating. Detectives have taken notice of recent incidents that have taken place after a victim has made arrangements to sell an item through various online marketplaces and agreed to meet the suspect in person. In addition to the online marketplaces, the danger extends to online dating and social sites that cater to prostitution and casual encounters. The Department encourages the public to utilize our Safe Exchange Zone located in the lobby of the Police Headquarters at 3304 Community Blvd. when meeting for online sales. This warning is not necessarily directed at legitimate dating websites, although common sense and caution should always be exercised when meeting a stranger for the first time. The victim has been identified as 29 year-old Daniel LeBlance Magee of Killeen. Detectives with the Criminal Investigations Division Homicide Unit continue to investigate this case and information will be provided as it becomes available. On July 16, 2017, at approximately 3:09 a.m., Killeen Police Officers responded to the 2300 block of Wales Circle regarding a shots fired call. Upon arrival, officers discovered a 29 year-old male in the street with a gunshot wound. The victim was transported to Darnall Army Medical Center by Killeen Fire Department ambulance. The victim succumbed to his wound and was pronounced dead by Justice of the Peace Bill Cooke at 5:35 a.m. Judge Cooke ordered an autopsy. Detectives with the Killeen Police Department Criminal Investigation Division are on scene and investigating. More information will be released as it becomes available. Detectives are asking anyone with information regarding this incident to please call Killeen Police at 254-501-8830, Crime Stoppers at 254-526-TIPS (8477) or online at www.bellcountycrimestoppers.com. You can also download the P3tips app for IOS and Android to give an anonymous tip. All information is confidential and anonymous and if your tip leads to the arrest of the suspect(s), you could be eligible to receive a reward up to $1,000 in cash. Detectives are asking asking anyone with information regarding this incident to please call Killeen Police at 254-501-8830, Crime Stoppers at 254-526-TIPS (8477) or online at www.bellcountycrimestoppers.com. You can also download the P3tips app for IOS and Android to give an anonymous tip. All information is confidential and anonymous and if your tip leads to the arrest of the suspect(s), you could be eligible to receive a reward up to $1,000 in cash. The Killeen Police Department wants the public to be aware of the dangers of meeting strangers for internet sales and online dating. The Criminal Investigation Division has taken notice of recent incidents that have taken place after a victim has made arrangements to sell an item through various online marketplaces and agreed to meet the suspect in person. In addition to the online marketplaces, the danger extends to online dating and social sites that cater to prostitution and casual encounters. On Friday, May 12th, 2017, at approximately 1:02 p.m., Killeen Police Officers responded to the 5300 block of Sydney Harbour Ct. after receiving a call about a one-year-old child who was not breathing. The caller advised that the child she was caring for had fallen asleep in his car seat and had been strangled by the safety strap. Officers arrived and found the child unresponsive and not breathing. First responders performed CPR on the child and were able to resuscitate him. The child was then transported to Metroplex Hospital by ambulance. Investigators learned that the caller was running an in-home, unlicensed daycare out of her residence. She stated she left the child sleeping in his car seat unattended. She stated that she returned when she heard another child crying and found the victim unconscious and not breathing, with one of the safety straps around his neck. The child succumbed to his injuries on Saturday, July 8, 2017 at McLane Children’s Hospital in Temple. He was pronounced dead by Justice of the Peace Don Engleking, who also ordered an autopsy. An arrest has not been made in this case. Detectives have forwarded the case to the Bell County District Attorney’s Office for review. Upon review of the this case, the Bell County District Attorney’s declined to pursue the Aggravated Assault charge. The suspect, 18 year-old Darion Boykins was charged with Discharging a Firearm in Certain Municipalities. Boykins was arraigned by Justice of the Peace Bill Cooke who set bond at $5000. Boykins was later transported to Bell County Jail. Killeen Police Respond to a domestic disturbance with shots fired. 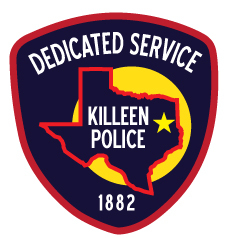 On Tuesday, July 11th, 2017, at approximately 3:03 p.m., Killeen Police Officers responded to a home in the 3500 block of Ida Dr after receiving a call about an active shooter. The caller advised they heard the sound of a gunshot and observed a male point a handgun at other male. Officers arrived and located three persons, who were determined to be brothers, involved in the incident. During the course of the investigation, officers discovered that two of the brothers began physically fighting with each other. During the fight, one of the brothers retrieved a handgun inside their home. The third brother exited the home in an attempt to get help from neighbors, followed by the other two brothers. Witnesses stated that they heard shouting and several gunshots. They stated they then observed the suspect pointing a handgun at the victim. No one was struck by the gunfire. The suspect sustained minor injuries during the fight. Officers placed one male under arrest for Aggravated Assault with a Deadly Weapon. The suspect was transported to the Killeen Police Department Jail. The Killeen Police Department continues to investigate this case and it will be reviewed by the Bell County District Attorney’s Office. On Monday, July 17, 2017, from 7:00 a.m. to 7:00 p.m., the Killeen Police Department Animal Services Unit’s computer network will be down for necessary repairs and upgrades. During this time, the shelter will be without phones, email, and network connectivity. The shelter will be open for business, but will only be able to accept cash or checks for any services requiring payment. They will be unable to accept credit or debit cards. Anyone needing to contact Animal Services for any reason during that time should contact the Killeen Police Department at 254-501-8800 or 254-501-8830.